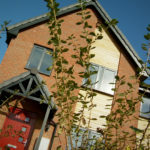 An infill development on a former orchard consisting of the design and build of 3 houses and 2 bungalows to achieve Code for Sustainable Homes (CfSH) level 4. 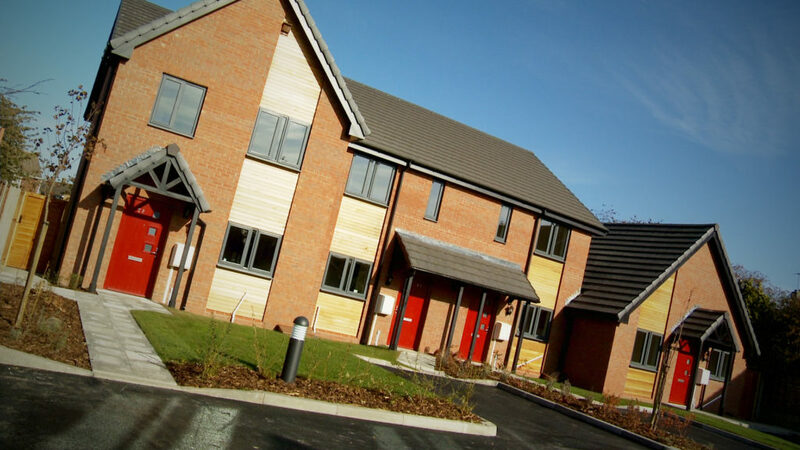 Constructed in Timber Frame incorporating a highly insulated air tight building fabric, MVHR, air source heat pumps and a combination of brick and cedar cladding. • Working on a very constrained site with restricted parking and delivery access. 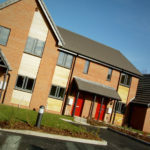 To achieve CfSH Level 4 a fabric first approach was adopted achieving exceptional air tightness, reducing the energy demand of the properties, giving tenants lower energy bills and helping NKDC to tackle rural fuel poverty. All homes contain smart meters so tenants can review energy use in real time and compare it with previous months helping them to reduce usage. 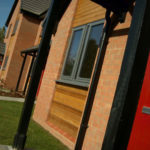 Tenants are also provided with comprehensive, easy to follow user guides. 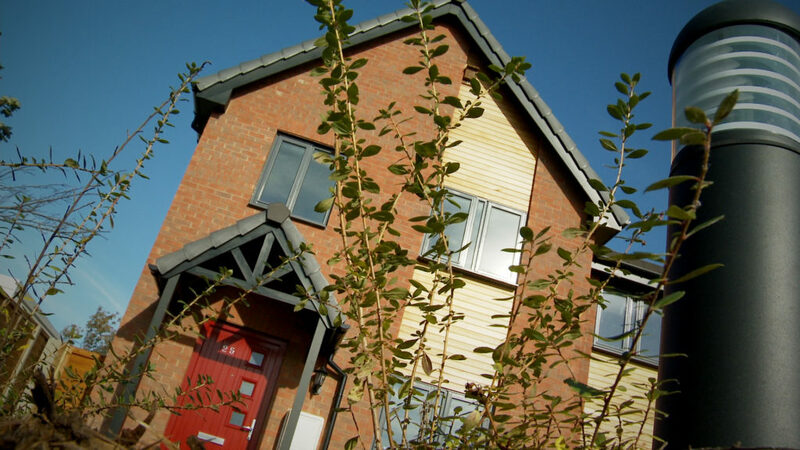 All homes have an air source heat pump which combines natural energy from the air with electricity to provide energy efficient space heating and hot water. Due to the exceptional air tightness of the building, MVHR was installed. The Mechanical Heat Recovery System will help to prevent overheating and also reduce energy consumption in the homes by recovering otherwise wasted heat. 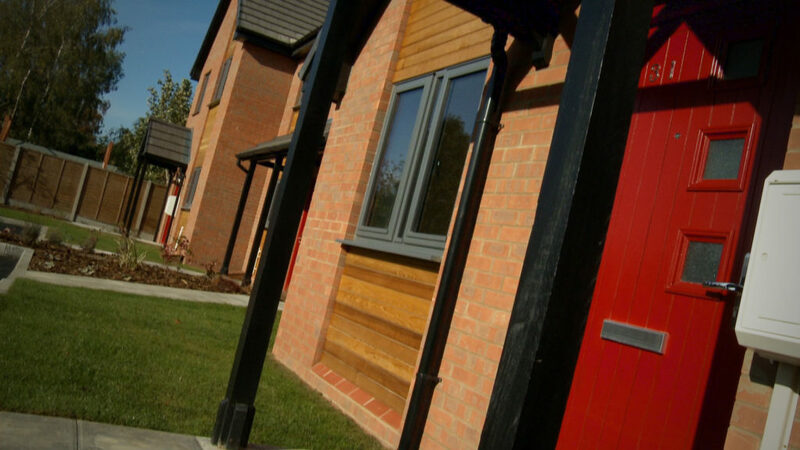 In line with our ISO 14001 Environmental Management System, all timber has been sourced under the FSC/PEFC sustainability of timber scheme and a high percent of none timber materials have been sourced from companies who hold ISO14001. Due to the nature of the site with neighbours on every side, one of the first activities undertaken was the erection of new timber fencing around the entire site. This was well received by neighbours who naturally had concerns and the tone was set for the rest of the development. 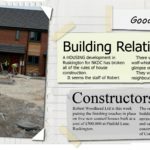 The Considerate Constructors Scheme monitor singled out site manager Pete Winson, saying he had developed ‘excellent relations’ with neighbours through a range of initiatives which included personal and written updates on progress and goodwill gestures like free supply of building materials, fence repairs, logging of a tree and washing of adjacent fascia boards. 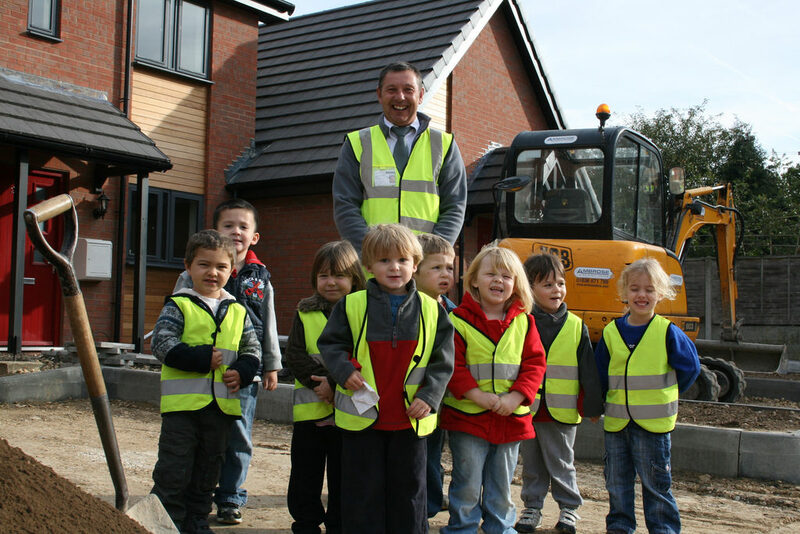 Children at the nearby Ruskington Rascals Nursery were given fortnightly briefings at the site entrance and guided around the completed houses by site manger Pete Winson, who on behalf of Robert Woodhead Ltd donated bricks, cladding boards and guttering to help them with their activities at nursery. There was even a waterbowl for passing dogs! “We are especially grateful for the way you worked so positively and constructively with the community of Ruskington and especially children at the local nursery school. This has helped the children to understand how houses are built and why they are so necessary for a strong community. It’s all first-class.